I've been working on some of the scenic details, painting up more Dark Eldar stuff and experimenting with snow effects (more on that later). This is still very much a work in progress, some of the elements are unfinished and their positioning may well change as things develop. 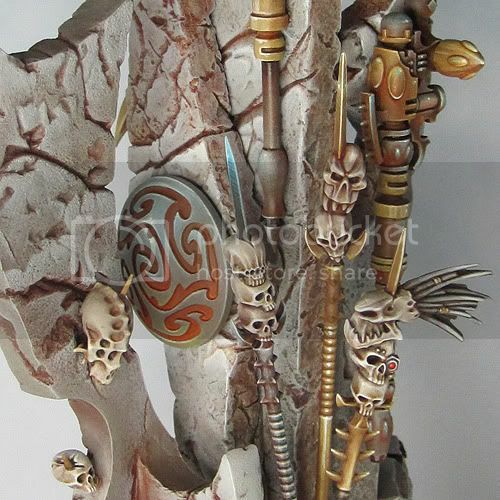 The skulls and trophies are from the Dark Eldar Ravager and Talos kits. The large skull on the ground is from the Tomb Kings Warsphinx. I've had a lot of fun painting them. Doing one every now and again and spending an indecent amount of time on it! 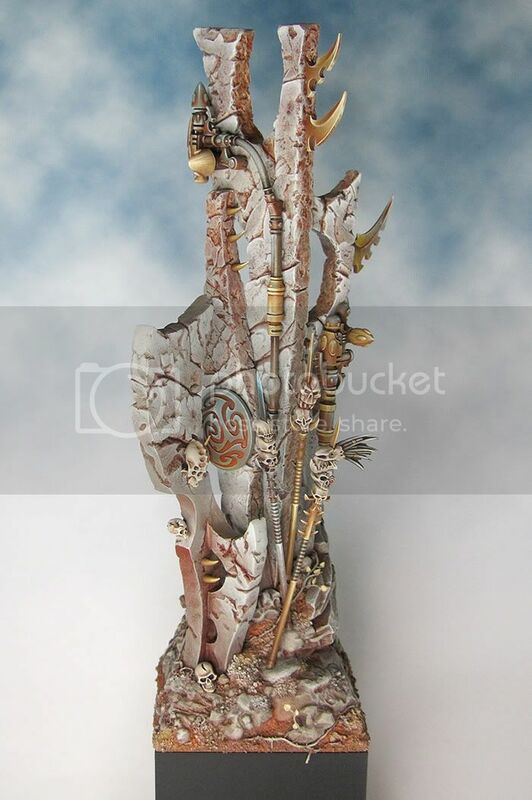 I’ve been posting pictures of the Dark Eldar Diorama on the Cool Mini forums. One very useful piece of feedback from Matt Cexwish (see his jaw droppingly fabulous minis HERE) encouraged me to have a go at using garden soil (yes plain old dirt!) to add some texture to the diorama. I had my doubts as to how this would turn out so I tried out the technique on a sample piece. My suspicions could not have been more unfounded and I’m a total convert! 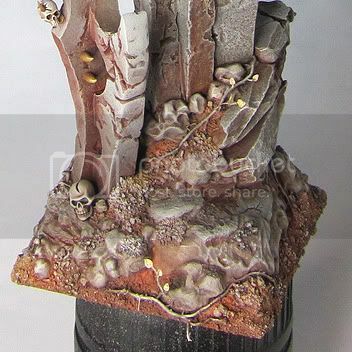 I really love the texture you get through using soil and superglue. Here are a few pics of the effect on the diorama after painting. 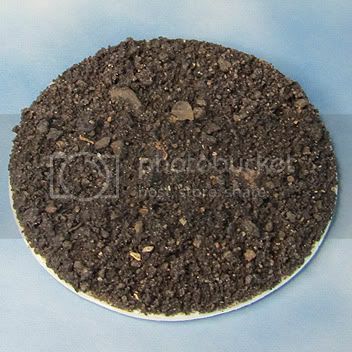 The tutorial for using garden soil can be found HERE on Massive Voodoo. 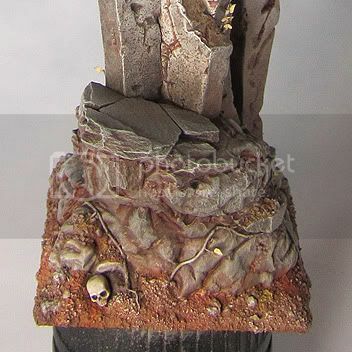 I’ve also put in a lot of time adding more Dark Eldar detailing to the diorama this week. Here is a teaser of what’s to come. I can’t think of another mini painting/modeling project where I’ve had to revisit my ideas and rework things quite so much! But I’m glad that I’ve persevered as the new base for my diorama is giving me the positive buzz for this project that’s been missing for a while. For sure there is a lot to do (the minis not the least!) but this time it feels like I’ve got the tone and composition right for what I’m trying to achieve. I’ve set up a production line for icicles and have started testing out some options for snow. 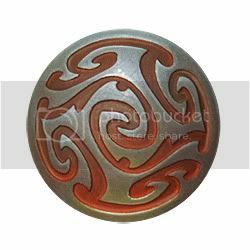 There are more Dark Eldar bits and bobs to add but I will be doing this cautiously and as a part of the overall composition. I don’t want to go overboard with the hooks and chains! 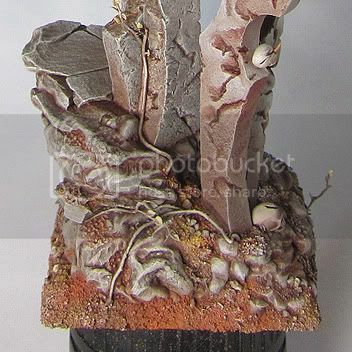 So here is the Diorama base as it currently stands. The elements are now all sculpted and assembled, bulk of the painting is done bar a few highlights and I’ve begun to build up some of the scenic details.